DC Dana: No Place For A Pony "
That’s a relief! 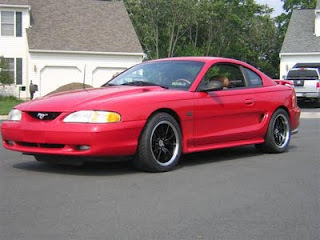 I probably wouldn’t be able to take it if my Mustang were stolen. Not a very nice thought at all. In any case, I’m sure you just laugh at this incident when it crosses your mind now. :D You know, I love red cars! It kinda tells people that you’ve got the spirit of leadership within you. By the way, have you always preferred Ford cars? I wouldn’t be surprised if so, since they’ve always come up with distinctly original ideas. I know some local auto locksmiths that can break into high-end cars because they are allowed by the famous brands to have access. The locksmith that you called seems like he belongs to a company that wasn’t allowed or doesn’t have knowledge in unlocking high end cars. It is better to contact famous locksmith service so that we can ensure quick and safe service for our car.